Before NASA's Cassini spacecraft plunged into Saturn's depths, it performed a final 2017 flyby of Titan, Saturn's largest moon. This remote world is the only place in the solar system other than Earth that hosts large bodies of standing liquid. Titan's liquid is methane and ethane instead of water. But these lakes and seas make the moon one of the most interesting places in our solar system. 5 in Nature Astronomy . 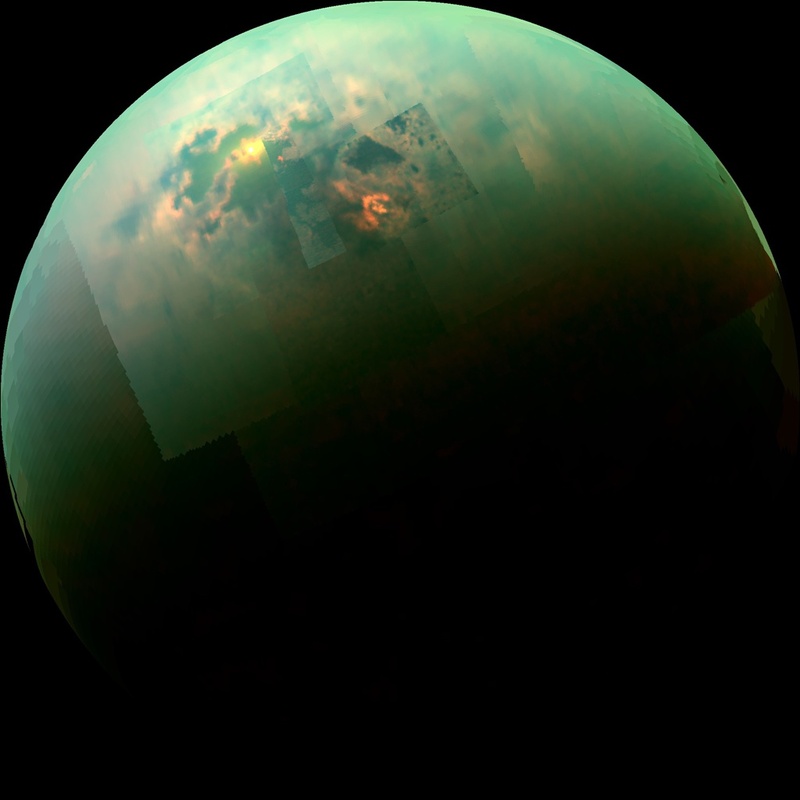 In a second study, also published in Nature Astronomy a different group of researchers discovered what they call "phantom lakes" Titan's surface in the northern hemisphere. These lakes appear in earlier Cassini data and disappear later. Scientists take this to mean the lakes are shallow, and dry out and disappear as seasons change on Titan. A full seasonal year on Titan is roughly one Saturnian orbit, or 30 Earth years. And since Cassini spent 13 years studying the Saturn system, it had an excellent point of view to watch the north hemisphere grow warm with the onset of the summer, while the southern hemisphere descended into the winter. Both studies point to the Titan's complex methane cycle that scientists are still seeking to fully understand. Like the Earth's water cycle, it moves liquids between Titan's atmosphere, surface, and underground, and changes with seasons and temperatures. It's the only place other than Earth where scientists can watch this complex liquid cycle on a planet-wide scale, and they will surely keep mining Cassini data until Saturn time for hosting a new spacecraft visitor.